Who: The event is hosted by the Center for Leadership Development (CLD), a minority youth serving organization located in Indianapolis, Indiana. CLD is honored to announce the return of Strada Education Network as the title sponsor. Why: In an effort to address the alarming statistics regarding African American students not being successful in pursuing post-secondary education, CLD along with college, university, and community partners created the CLD College Prep Conference & College Fair to expose many more African American students, residing in Indiana, and their parents to the idea of college as an available option and to the many opportunities that a college education affords. Breakout sessions will include, Competitive Edge to Earning Scholarships, Maximizing Your College Experience, and Helping Student’s Persist to Obtaining College Degree are just a few of the informative and interactive sessions that will be presented during this conference. This conference will provide resources for youth and parents to help change behavior and values while guiding them to a self-directed path that will help them achieve in high school, enroll in and graduate from college, and gain employment in their career choice. Who should attend: Any rising 8th – 12th grade student and their parent(s) or legal guardians are encouraged to RSVP and attend. Cost is $15 per registrant or $10 each for groups of 10. This day-long educational experience requires a PAID REGISTRATION. No walk-ins accepted. 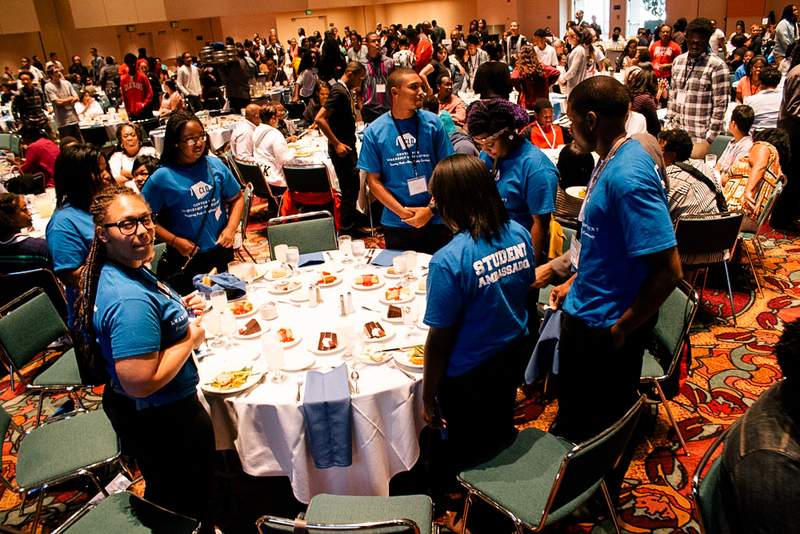 The conference includes a continental breakfast, banquet lunch with an inspiring keynote address by Fanchon Stinger (Fox59 Evening News Anchor), grade appropriate interactive sessions led by subject matter experts and ends with a College Fair featuring over 60 of the nation’s greatest resources in higher education, colleges and universities. The Center for Leadership Development is immeasurably grateful to Strada Education Network for their continued support as the 2018 Title Sponsor, to KeyBank for their support as the 2018 Sessions Sponsor and to Ivy Tech Community College for their renewed support and for serving as the 2018 College Fair Sponsor. CLD is a non-profit organization with the mission to foster the advancement of minority youth in Central Indiana as future professional, business and community leaders by providing experiences that encourage personal development and educational attainment. CLD inspires and develops Central Indiana youth to realize their highest human potential so they are empowered to live rich, purposeful lives and make meaningful contributions to their families and to our community. We’re Social! Follow us on Twitter @CLDincorg. Find us on Facebook www.facebook.com/CLDinc. Join us on LinkedIn.